My story starts out when I was about 12 or 13. I was highly active in Girl Scout activities such as camping and hiking, etc. At this time in history, ticks were just a pain in nature. Not too much research was done. Around that time, I became sick every time I ate red meat. It took a LONG time to pinpoint what was making me sick. I had NO clue what was going on. I started avoiding meat. My parents were beside themselves, but I never told them I kept getting sick, so they thought it was just a phase. Fast forward a couple decades later, I got an allergy testing and it turned up that I was allergic to red meat. (Much to my dismay, palm to forehead). My doctor asked if I had been around ticks. I told them ALL the time. I started doing research and found out it was due to a tick bite in my teens. It came from a bite from a Lone Star tick. I had Alpha-Gal. No, I am not a superhero, even though it sounds like it. Apparently, when a tick bites you, they inject their saliva into you. (EEWWWW) The tick’s saliva injected me with Alpha-Gal, and now I can’t eat red meat. If I do, I get seriously sick and vomit. It’s normally a 24-hour ordeal, but it’s NO fun! Since my diagnosis, I have met several others with the same issue. I don’t feel alone (aka crazy) now. Some have more serious reactions (anaphylaxis) and other reactions I hear will wear off in a couple of years. Unfortunately, mine has stuck around for WAY too long, so I am stuck with it. Unfortunately, there are so many tick-borne illnesses out there. 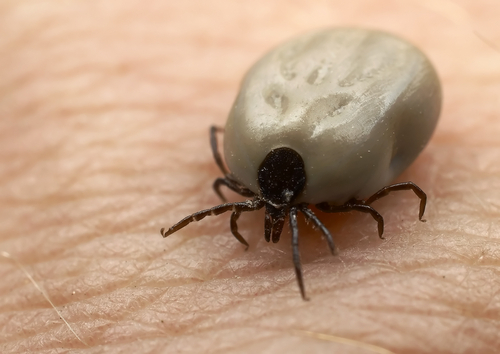 Two of the most “popular” are Lyme Disease and Rocky Mountain Spotted Fever. 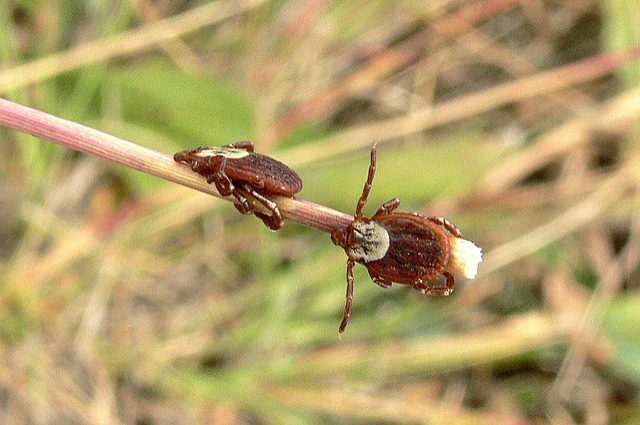 Ticks are out year round, but mostly April to September. 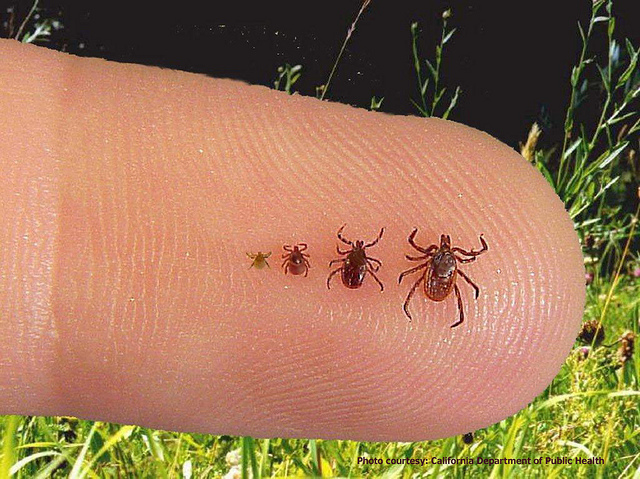 ANY time you go out in nature, please remember to do a tick check on yourself and loved ones. They like tight spaces such as sock lines, underwear areas, waist, etc. Many recommend DEET or pyrithiamine….. I prefer Sulphur dust. You might smell like a rotten egg, but it’s more natural. This may sound gross, but when and if you get a tick bite, use tweezers and pull GENTLY to make sure you get the head. Thoroughly cleanse and wash the area, AND, make sure you watch that area for signs of infection or redness in the following days (up to a month). If you have a “target”, rash or fevers, etc, go to your doctor, and let them know about your bite.